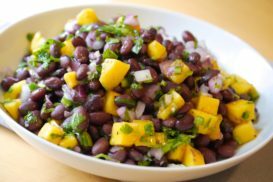 If you love beans too, like I love beans, try this delicious salad with Roasted Summer Squash and Kidney Beans. Delish! Do you want to beat the summer heat? 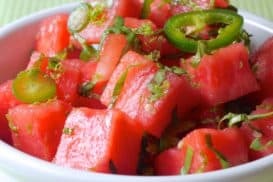 Take a bite out of this Sweet and Spicy Watermelon Salad! 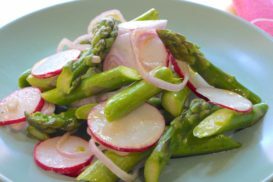 The fresh and tasty asparagus season is brief – from April until June (in the Northeastern United States). So, you’ve got three months to eat asparagus like crazy! 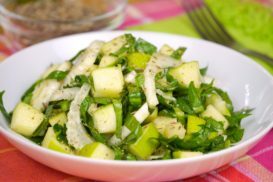 You can start with this delicious Asparagus Salad. Eating colorful food ensures that we are getting a wide variety of nutrients and antioxidants into our daily diet. 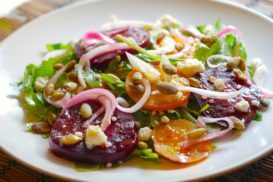 This delicious rainbow beet salad has got you covered! 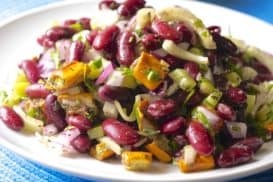 Vegetables of summer are bursting with flavor, cooling, and refreshing, and I love them. 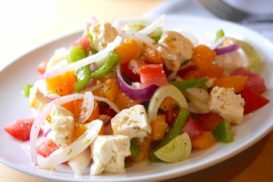 Try out this simple and easy summer salad and enjoy! When it comes to using food as medicine, I don’t mess around! 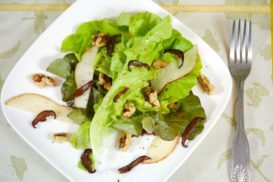 Try this nourishing summer salad. 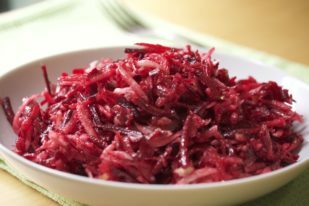 Did you know that cabbage is rich in choline, beta carotene, folate, fiber, and vitamins C, K, and B6? 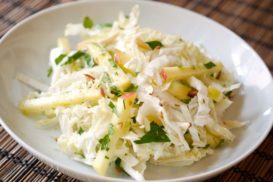 It’s time to incorporate more cabbage into your Spring diet! 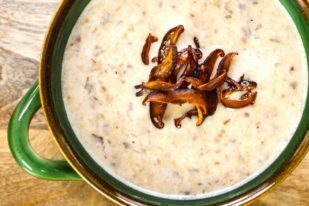 Have you ever tried Shitake mushroom bacon? 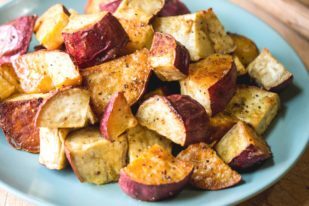 It’s crunchy, salty and totally delish! 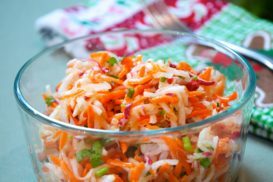 Don’t put your grill away yet! 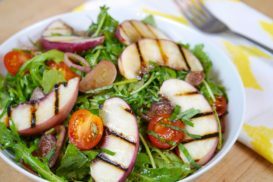 This Grilled Nectarine salad is the perfect ending to a delicious summer. 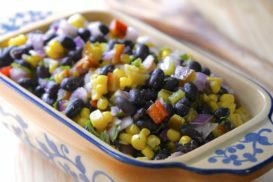 Do you want to try a fun summer salsa? 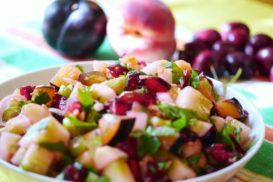 Use stone fruit! 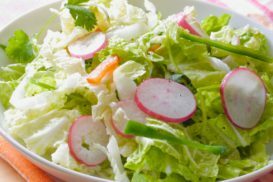 It’s salad season! 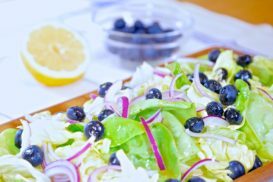 Combine your favorite lettuce and berries, and drizzle with Honey Lemon Dressing. Oh my… mouthwatering seasonal goodness! Do you want to taste spring? 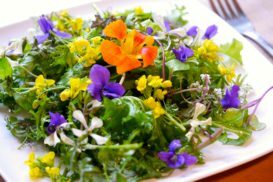 Try this floral salad with Lemon Honey Dressing. It’s as delicious as it is beautiful! Horseradish is one of those amazing foods that helps clear congestion. 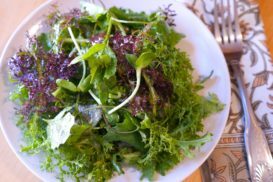 Try it on your next salad to clear your body and your head. 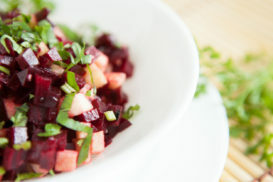 It’s time to love your liver with this tasty, cleansing and liver-supportive salad. 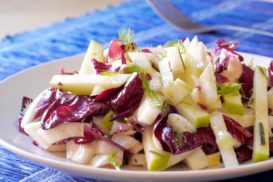 Looking for an easy breezy winter salad? Try this one. It’s delish!